Average market values for 451 tech certifications rose for a second straight calendar quarter following four consecutive quarterly losses. Here is what’s driving it upward. Getting compensation right for tech professionals has been a nagging problem for a very long time. It’s difficult to find an employer that isn’t struggling to come up with its own unique tech staffing model that balances three things: the urgencies of new digital innovation, combating ever deepening security threats, and keeping increasingly complex systems and networks running smoothly and efficiently. These disruptive technologies depend on solving the puzzle of getting the mix of critical technology and business skills and experience just right when shortages of skills and talent have never been more profound or more constraining in effecting business transformation. The staffing challenge has moved well beyond simply having to choose between contingent workers, full-time tech professionals, and a variety of third party services options. The fact is that employers will increasingly need to develop their own talent in-house. Many are not prepared for this level of staff development even though they have been investing in training for years. These changes don’t happen overnight. Practically speaking, it takes a few fiscal cycles to get budgets in line and then launch carefully targeted recruiting and training efforts to build any new foundation for an optimally restructured workforce. To be sure, ‘clean sheeting’ your organizational systems and practices isn’t realistic: you need to build a new human resource foundation under what you’re already doing, incrementally strengthening that foundation over time. This takes a well-thought out job role architecture plus carefully crafted agile compensation models to get people paid to true competitive market levels and incented to perform at high levels. 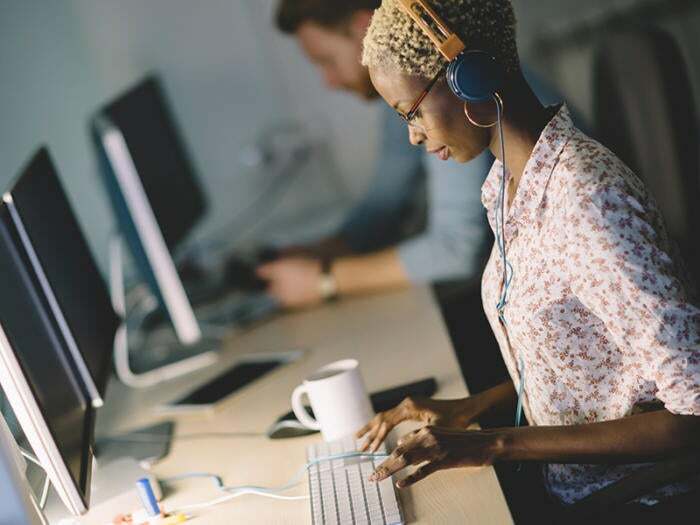 Two problems have been driving pay premiums for certified and noncertified skills as a necessary strategic element of pay: lack of agility in compensation practices and aging HR systems and pay structures that just don’t cut it in the current tech labor environment. Pure and simple, if companies were doing a better job managing their human resources they wouldn’t need to rely on paying extra cash for skills and certifications. But the fact is, for years employers have underpaid huge numbers of their tech workers for one simple reason: in a volatile labor marketplace prevailing market pay growth rates often exceed annual cost of living pay increases. Employers not paying enough attention to market disparity will be exploited by recruiters searching for hot skilled individuals whose salaries are compressed. There’s been constant market price volatility due to rapid shifts in labor supply and demand for hot skills. Then there are countless variations in the jobs tech pros are asked to perform as the average employer requires more and more hybrid tech-business experience with industry knowledge, specific solution aptitude, soft skills, and niche experience with a certain kinds of customers specific products and services. It’s no longer good enough for workers to demonstrate proven expertise on a single platform: employers reward experience spanning multiple tech platforms, domains, programming languages, tools and systems. Extra pay awarded to 74,644 U.S. and Canadian IT professionals at 3,188 private and public sector employers for 451 certified and 530 noncertified IT and business skills---also known as skills pay premiums---has been tracked and updated quarterly since 1999 in the IT Skills and Certifications Pay IndexTM (ITSCPI). Let’s take a look at what certifications are earning the highest pay and growing the fastest in the most recent 1Q 2018 data edition. Market values for tech certifications in the most recent ITSCPI data update rose for the second straight quarter, up a slight 0.3% overall, following four consecutive overall quarterly losses. Currently earning the equivalent of 7.6% of base salary on average for a single certification, gains were led by Info/Cybersecurity, Database, and Architecture/Project Management/Process certifications. These IT certifications gained 10% or more in market value in the six months ending April 1, 2018, grouped by segment and listed in descending order of amount of percent gain in cash pay premium (including ties).